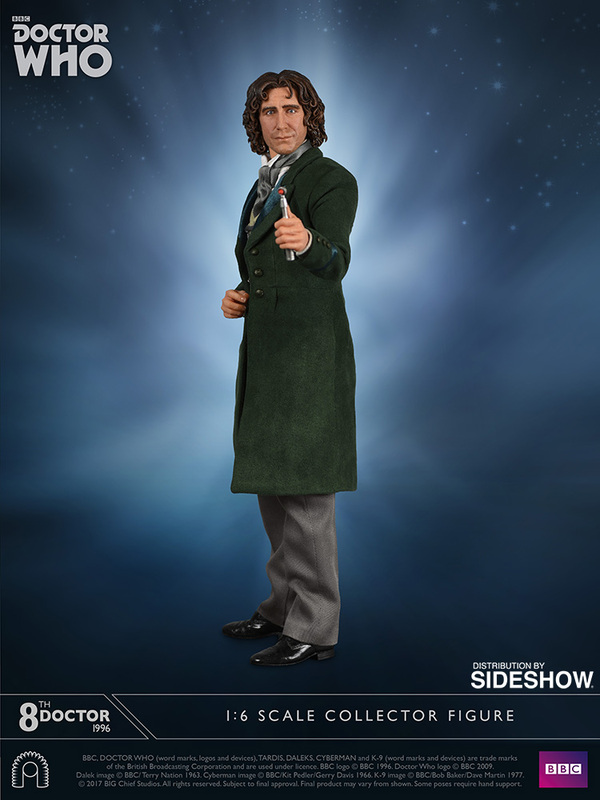 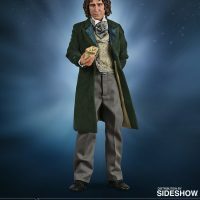 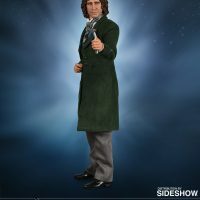 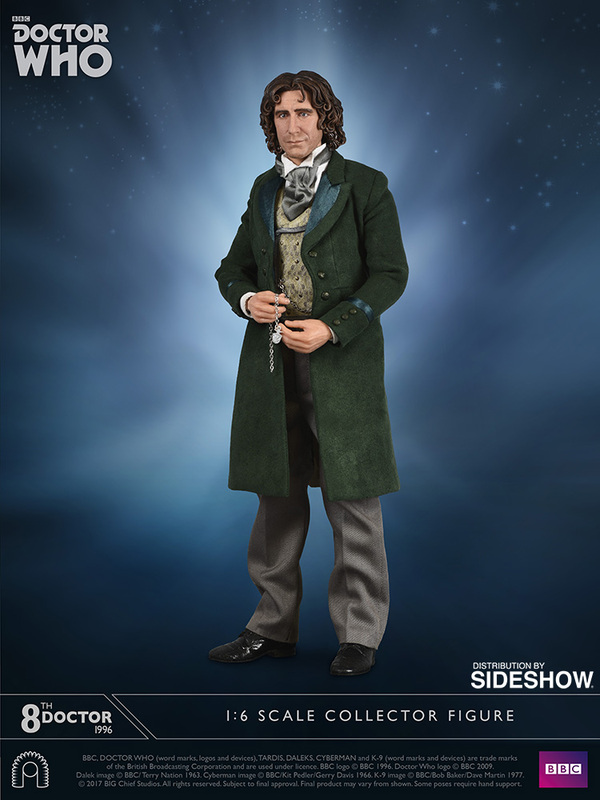 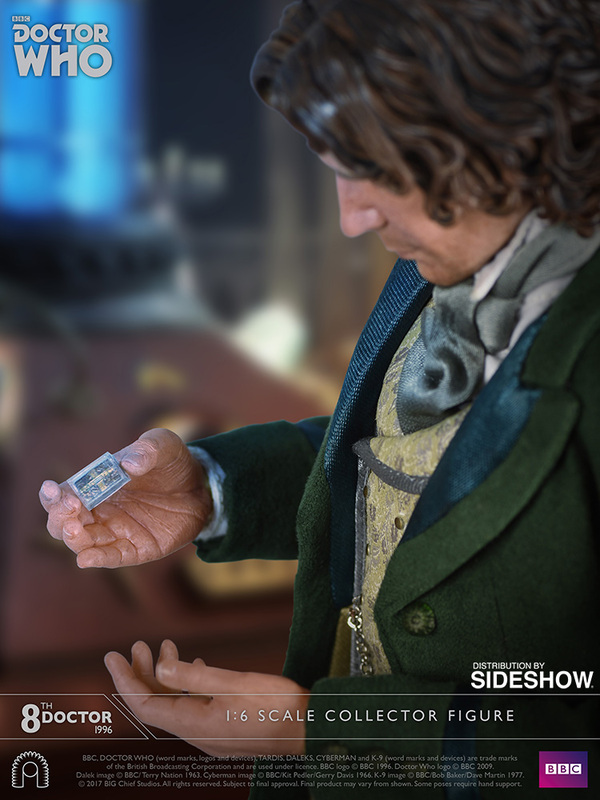 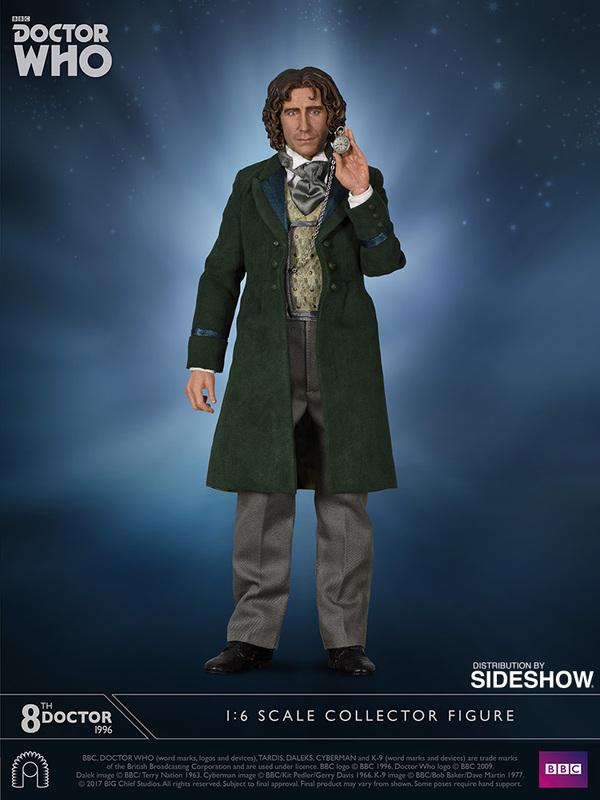 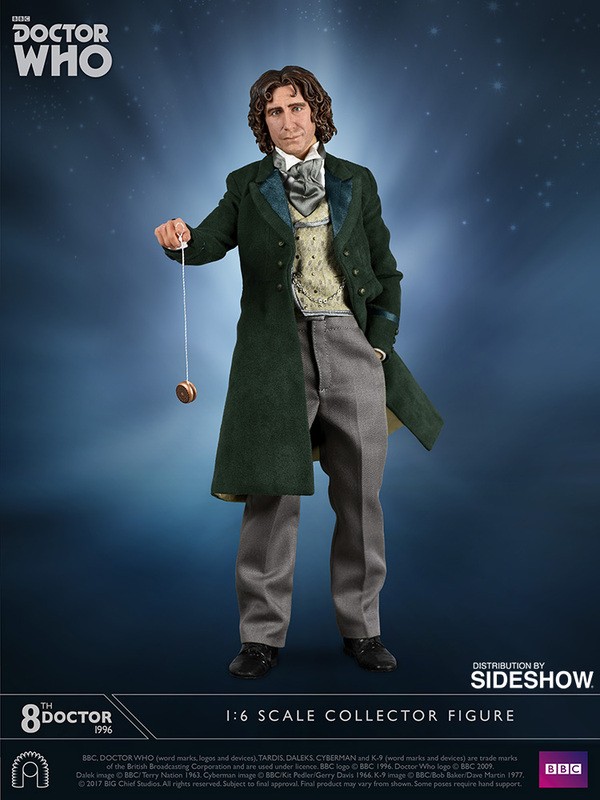 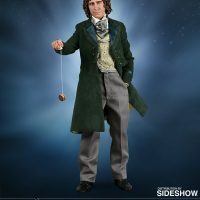 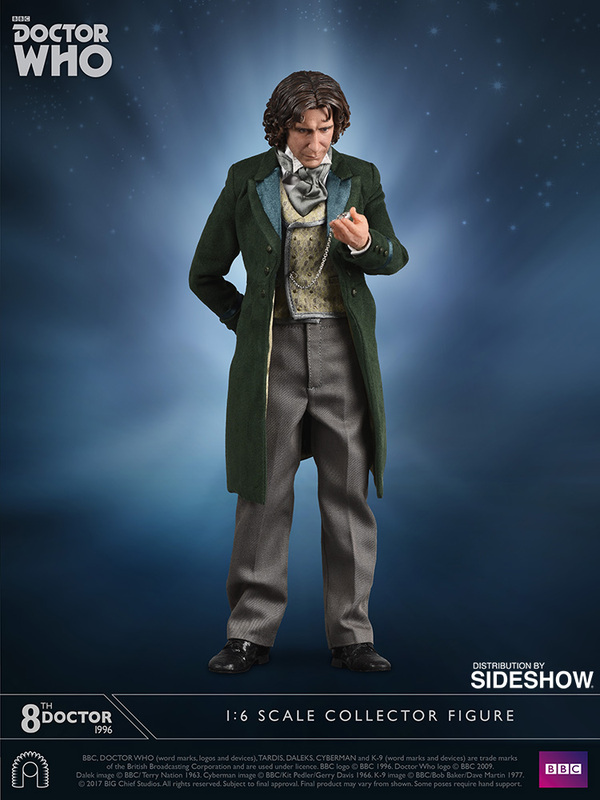 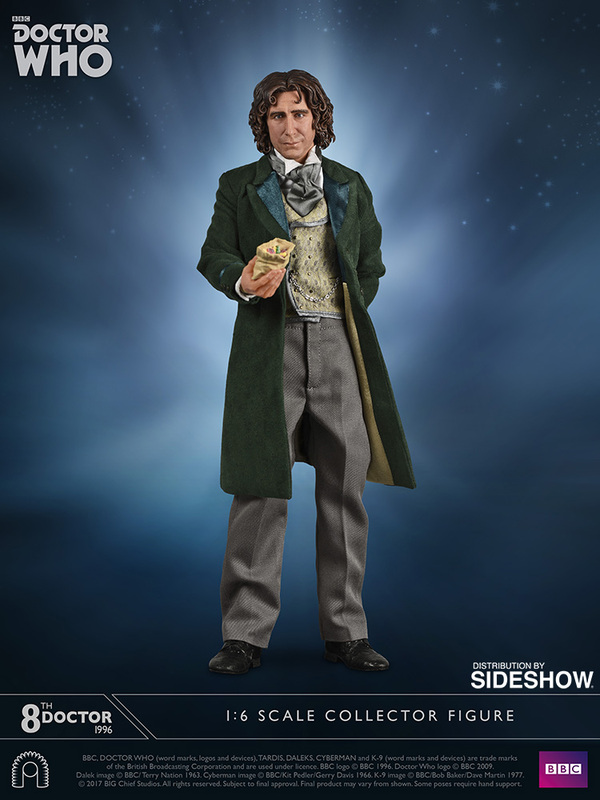 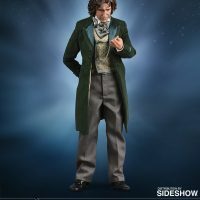 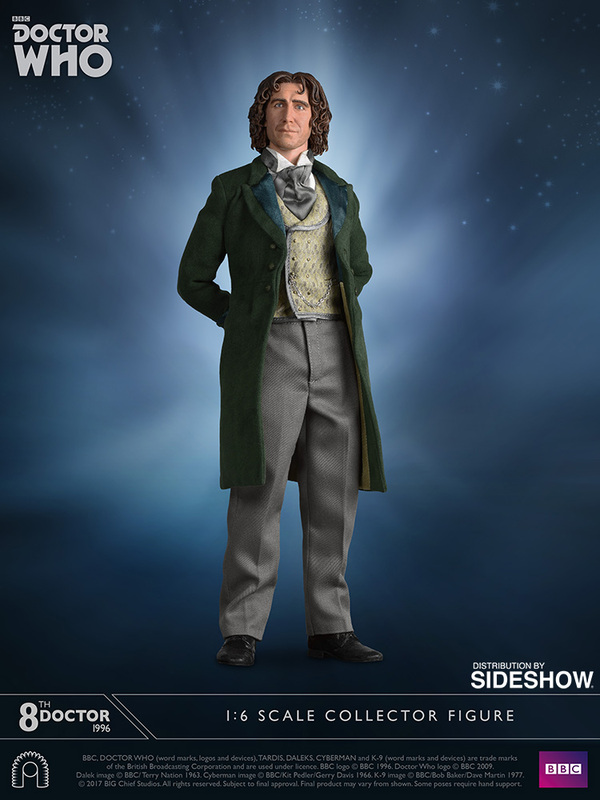 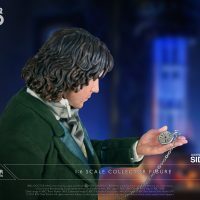 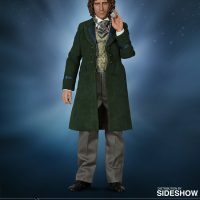 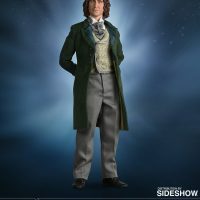 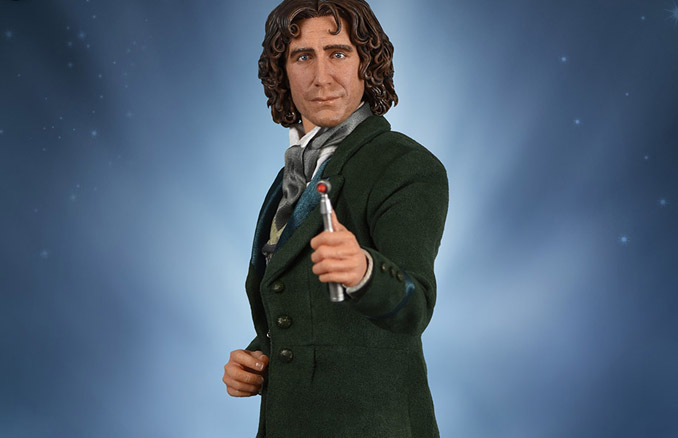 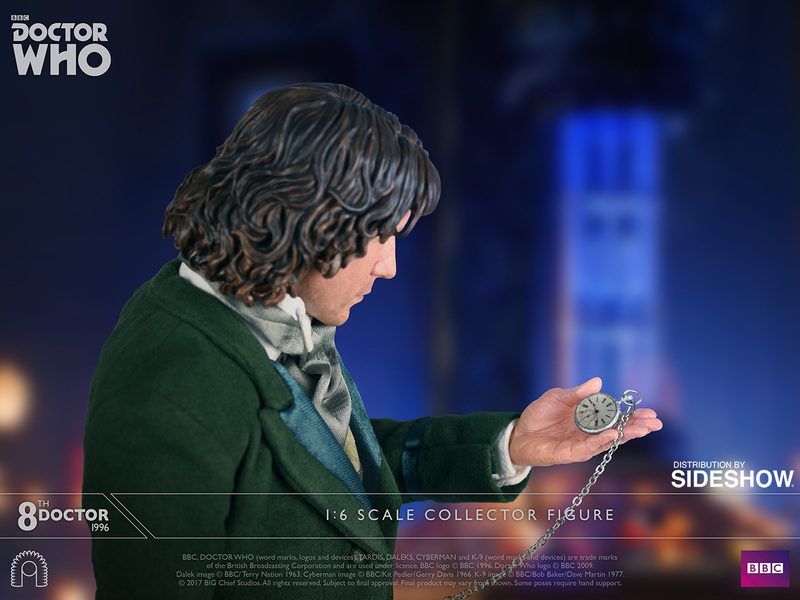 Paul McGann takes control of the TARDIS once again as the Doctor Who Eighth Doctor Sixth-Scale Figure. 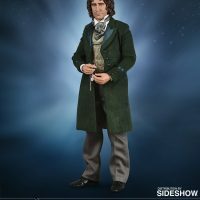 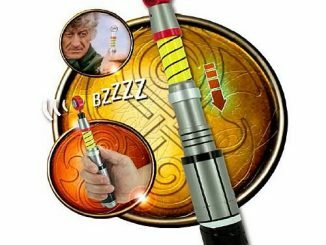 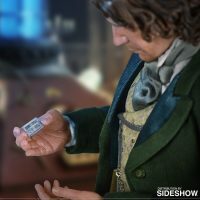 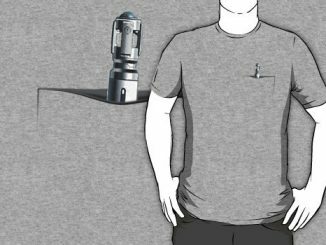 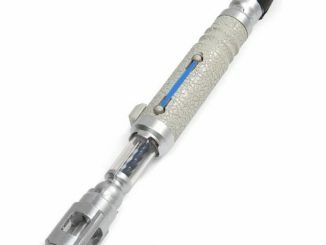 In the long line of Doctors that have come before and after the Eighth Doctor, McGann’s incarnation truly gets the short end of the sonic screwdriver, remembered mostly for appearing in an U.S. made-for-TV movie that didn’t really do the character justice and then later transforming into the War Doctor. 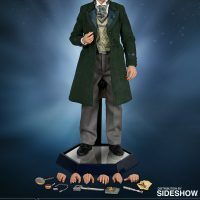 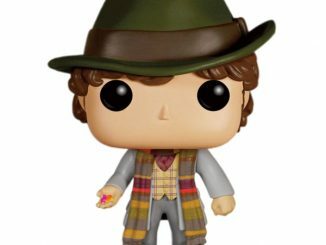 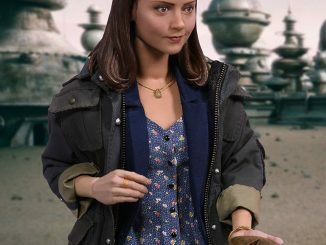 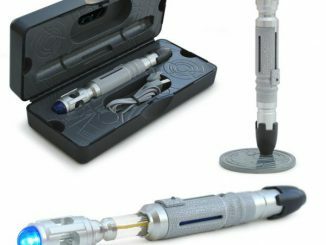 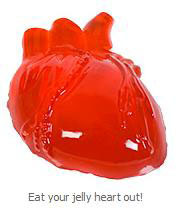 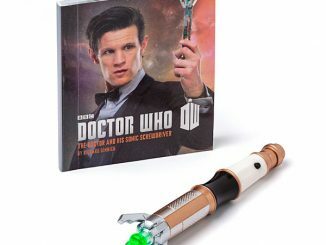 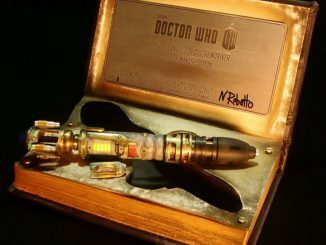 Still, considering he didn’t appear in very many television episodes, this 12-inch-tall figure comes equipped with some very cool accessories, including a bag of Jelly Baby candy, an open and closed sonic screwdriver, a TARDIS key, a printed backdrop, and a display base with a light-up Gallifreyan symbol. 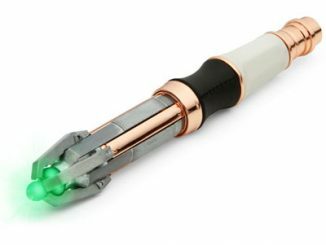 Coming Nov 2017 – Jan 2018. 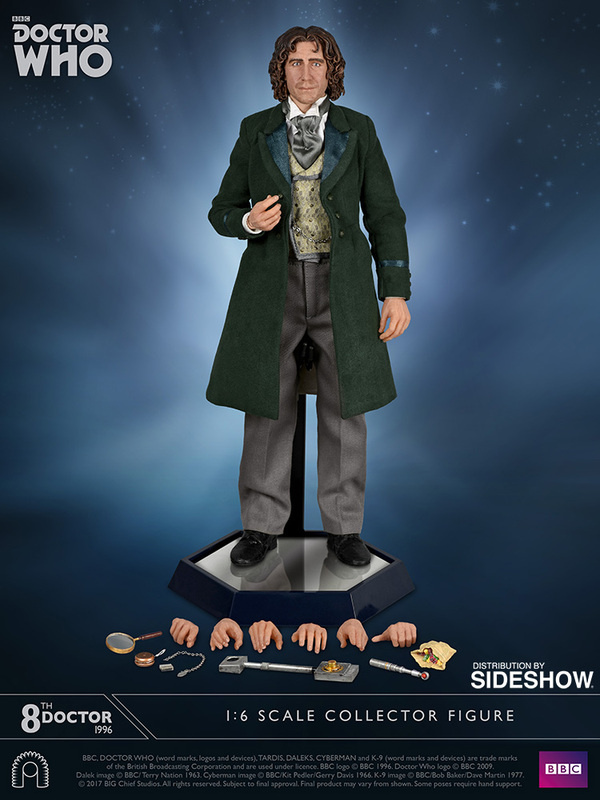 Pre-order now for $249.99 at Sideshow Collectibles.